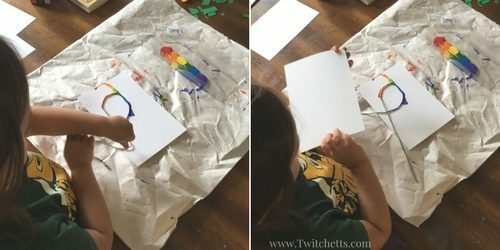 Rainbow String painting is a fun process art. String art for kids creates beautiful thread paintings that are never the same. Painting with string has been around since before we were born. I was skimming through a few of my Mother’s old art books and it was mentioned in almost all of them! (Not going to date our mom, but let’s just say it was pre-blogger days…). 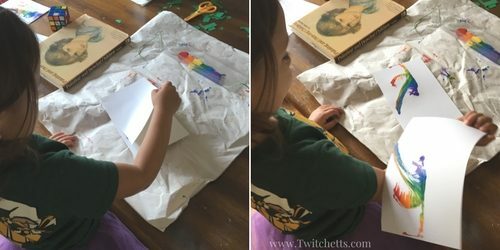 I love a good process art project to do with the kids so we decided to give this one a try. 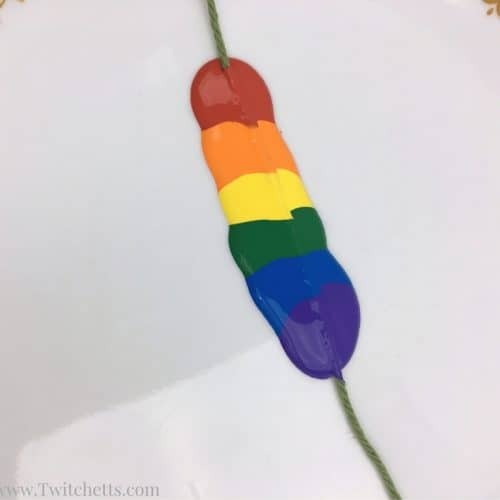 I wanted to mix it up a bit, and since we have been on a rainbow crafts kick, it only seemed natural to do rainbow string painting. 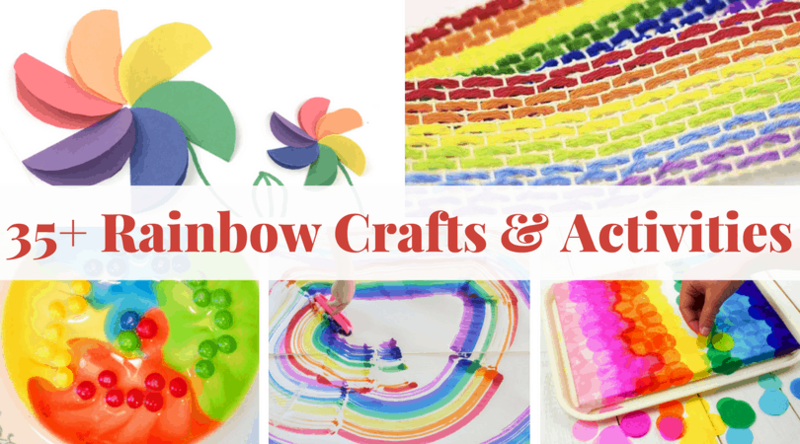 If you love painting rainbows, you’ll LOVE these rainbow projects too! Paper. Thicker cardstock works best but isn’t necessary. Paint. 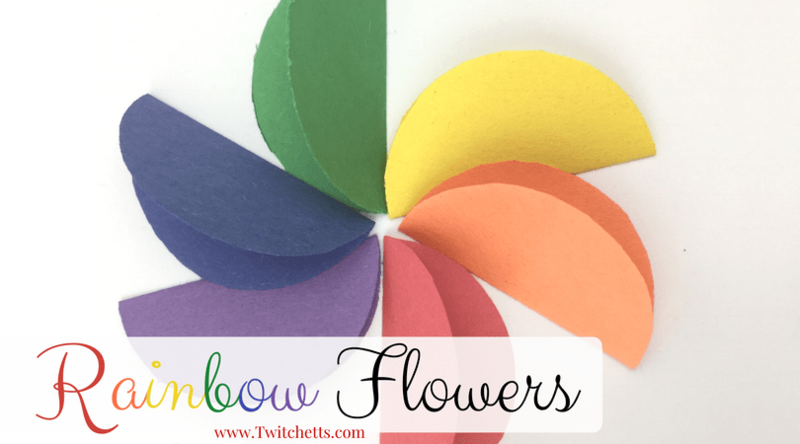 Each color of the rainbow. Something Flat for your Paint. 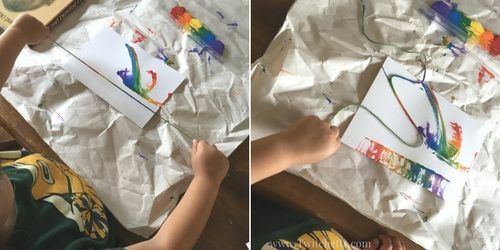 Here is the step by step instructions for rainbow string painting. Then watch it all in action in the video below. Start by adding a bead of each color so they are touching. You won’t need much paint. Lay your string across the paint and slightly twist so the paint covers all sides of the string. Lay your string across your paper so the ends hang out. Place the second piece of paper (the same size if possible) on top. 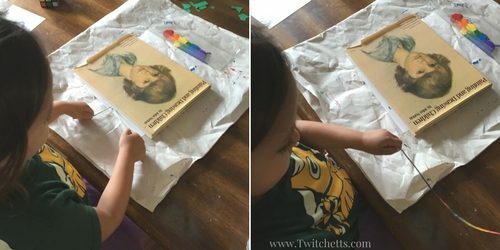 With my daughter (3) we found it easier to place a heavy book on top of the paper before pulling the string out. 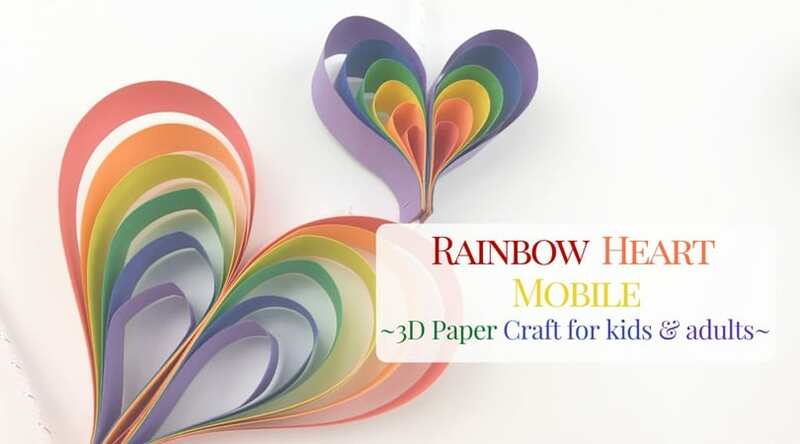 How to create an easy 3D paper rainbow! In the video above, I show you can hold the paper with your hand as well. Have your little one play with how they pull out the string. 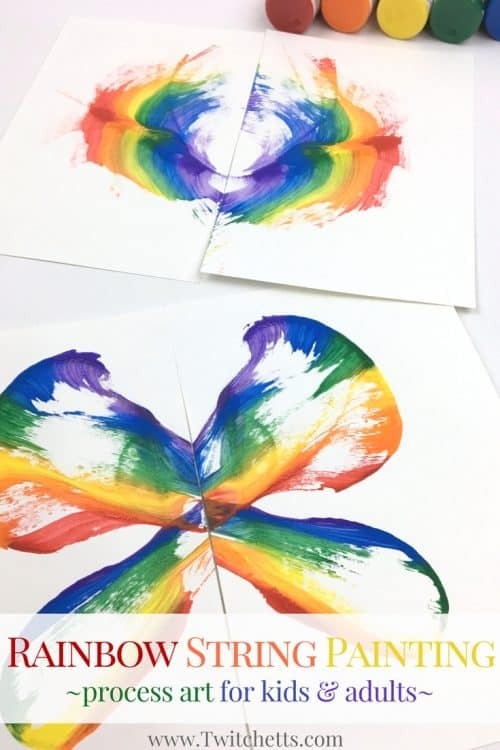 They can be pulled together to make a teardrop shape, pulled apart to make more of a line, and you can even attempt a rainbow! 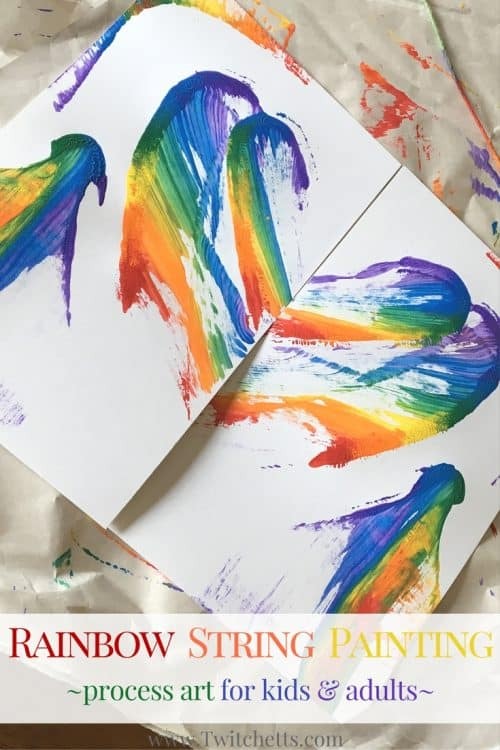 The possibilities are endless because, when you do string pull painting, no two lines will be alike! When you are finished you can tape the top and bottom pieces together to see your amazing works of art! Here are just a few of our creations! The one V created above is in the top left-hand corner. The one on the top right is another she created all on her own. 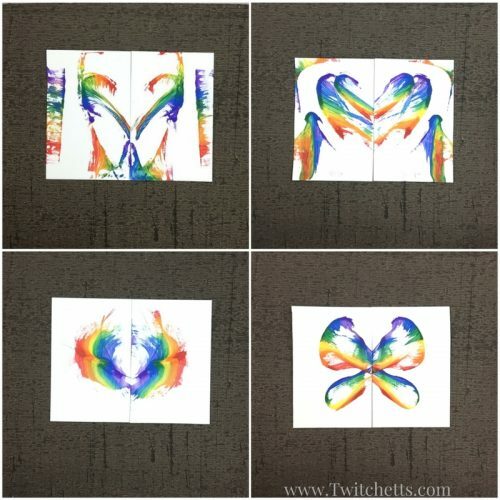 I created the “rainbow” and we worked together to try to create a butterfly (upon her request). 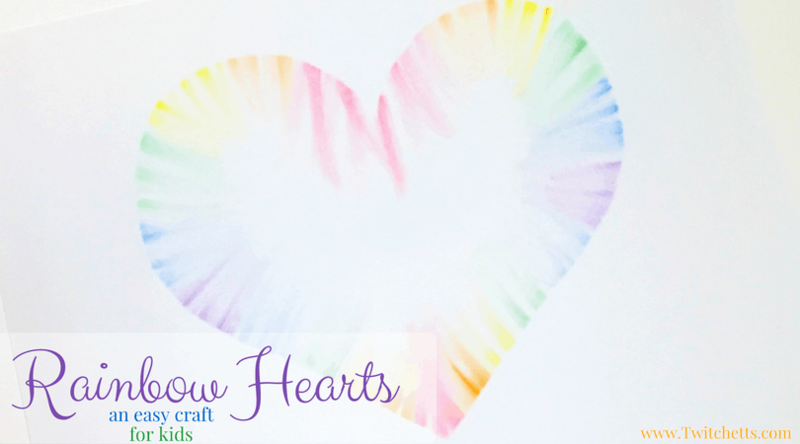 We really hope you give this rainbow string art process a try! Check out this string pull painting project and a bunch of our finished pieces in our quick video! If you loved this process art project, share it by pinning or sharing on Facebook.